The University of Copenhagen is the largest educational institution in Denmark. Together, the eight faculties offer over 200 programmes for study in health sciences, humanities, law, life sciences, pharmaceutical sciences, science, social sciences, and theology. The University aims to prepare students for a broad range of jobs in the private and public sectors. For this reason, education at the University covers specific skills and scientific methods as well as other more theoretical skills that will enable graduates to improve their qualifications. Teaching and research are closely integrated in order to achieve this, first and foremost by according them equal importance in the daily work of the academic and scientific staff and whenever possible basing the teaching on research. The University of Copenhagen was founded in 1479 and is the oldest university in Denmark. 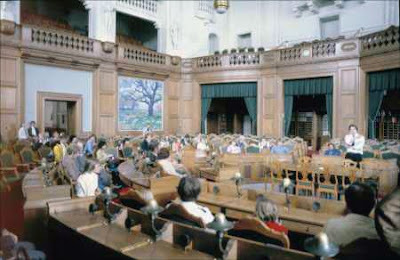 Between the closing of the Studium Generale in Lund in 1536 and the establishment of the University of Aarhus in the late 1920s, it was the only university in Denmark. 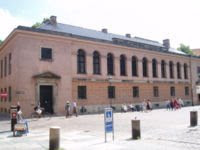 The university became a centre of Roman Catholic theological learning, but also had faculties for the study of law, medicine, and philosophy. 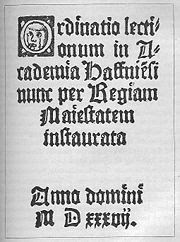 The university was re-established in 1537 after Martin Luther's reformation and transformed into an evangelical-Lutheran seminary. Between 1675 and 1788, the university introduced the concept of degree examinations. An examination for theology was added in 1675, followed by law in 1736. By 1788, all faculties required an examination before they would issue a degree. In 1801, under the command of Admiral Horatio Nelson, the British fleet bombarded Copenhagen during the Battle of Copenhagen, destroying most of the university's buildings. By 1836, however, the new main building of the university was inaugurated amid extensive building that continued until the end of the century. The university library, the Zoological Museum, the Geological Museum, the Botanic Garden with greenhouses, and the Technical College were also established during this period. Interior of the old university library at Fiolstræde around 1920. Between 1842 and 1850, the faculties at the university were restructured. Starting in 1842, the University Faculty of Medicine and the Academy of Surgeons merged to form the Faculty of Medical Science, while in 1848 the Faculty of Law was reorganised and became the Faculty of Jurisprudence and Political Science. In 1850, the Faculty of Mathematics and Science was separated from the Faculty of Philosophy. The first female student was enrolled at the university in 1877. The university underwent explosive growth between 1960 and 1980. The number of students rose from around 6,000 in 1960 to about 26,000 in 1980, with a correspondingly large growth in the number of employees. Buildings built during this time period include the new Zoological Museum, the Hans Christian Ørsted and August Krogh Institutes, the campus centre on Amager Island, and the Panum Institute. In 2005, the Center for Health and Society (Center for Sundhed og Samfund - CSS) opened in central Copenhagen, housing the Faculty of Social Sciences and Institute of Public Health, which until then had been located in various places throughout the city. 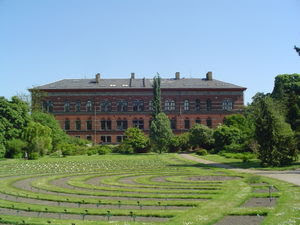 In May 2006, the university announced further plans to leave many of its old buildings in the inner city of Copenhagen, an area that has been home to the university for more than 500 years. The purpose of this has been to gather the university's many departments and faculties on three larger campuses in order to create a bigger, more concentrated and modern student environment with better teaching facilities, as well as to save money on rent and maintenance of the old buildings. The concentration of facilities on larger campuses also allows for more inter-disciplinary cooperation; for example, the Departments of Political Science and Sociology are now located in the same facilities at CSS and can pool resources more easily. In January 2007, the University of Copenhagen merged with the Royal Veterinary and Agricultural University and the Danish University of Pharmaceutical Science. 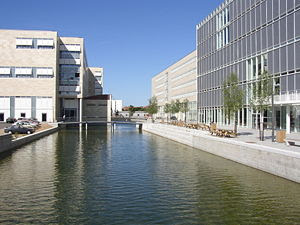 The two universities are now faculties under the University of Copenhagen, and are now known as the Faculty of Life Sciences and the Faculty of Pharmaceutical Sciences. The University of Copenhagen offers several degrees of education in a variety of subjects. The degree structure is divided into three levels. Three years of undergraduate studies lead to a bachelor's degree, and an additional two years lead to a master's degree. Only the structures of the theological, medical and dentistry degrees differ from this model. All masters degrees obtained from the University of Copenhagen can be extended with three more years of postgraduate work leading to a PhD degree. 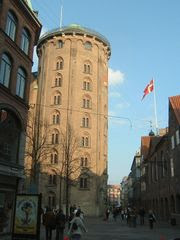 The University of Copenhagen offers a significant number of courses in English each semester. This allows exchange students to put together a comprehensive study programme, which will meet the demands of their home institutions. With over 37,000 students and more than 7,000 employees, the University of Copenhagen is the largest institution of research and education in Denmark. The purpose of the University – to quote the University Statute – is to ’conduct research and provide further education to the highest academic level’. Approximately one hundred different institutes, departments, laboratories, centres, museums, etc., form the nucleus of the University, where professors, lecturers and other academic staff, as well as most of the technical and administrative personnel, carry out their daily work, and where teaching takes place. These activities take place in various environments ranging from the plant world of the Botanical Gardens, through high-technology laboratories and auditoriums, to the historic buildings and lecture rooms of Frue Plads and other locations. On 1 January 2007, the University merged with The Royal Veterinary and Agricultural University and The Danish University of Pharmaceutical Sciences. The two universities are now faculties at the University of Copenhagen. The University of Copenhagen currently has eight faculties, although the composition and number of faculties has changed over time. The motivational force of the University's research activities is financially and politically independent, i.e. free basic research; however, specific collaborative endeavours with other institutions and companies also have a place among the countless research activities. The dissemination of knowledge and findings to other research environments and the general public is a natural element of the University's research efforts. The diversity of academic environments and scientific approaches is the University of Copenhagen's distinguishing feature and strength. Within the shared framework, the University is divided into eight academic fields referred to as faculties. The faculties are further divided into departments and institutes acting as the primary workplace for the University's researchers. The University is also home to a number of centres, interdisciplinary projects and other units typically focusing their work on research in more specific academic areas. A merger with The Royal Veterinary and Agricultural University and The Danish University of Pharmaceutical Sciences has led to the formation of one of the largest Health and Life Science centres in Northern Europe consisting of four of the University's faculties: the Faculty of Health Sciences, the Faculty of Life Sciences, the Faculty of Pharmaceutical Sciences and the Faculty of Science. 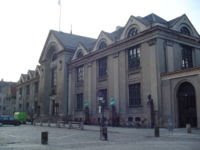 The University of Copenhagen is a member of IARU (International Alliance of Research Universities). The alliance consists of ten universities worldwide: Australian National University, ETH Zürich, National University of Singapore, Peking University, University of California, Berkeley, University of Cambridge, University of Copenhagen, University of Oxford, The University of Tokyo, and Yale University. The University of Copenhagen represents a cornerstone in the regional educational and research collaboration in the Øresund Region. The Øresund University partnership involves 14 universities in eastern Denmark and southern Sweden and provide researchers and students alike with improved access to expertise on both sides of the Sound. The Øresund Science Region forms an umbrella for research co-operation and operates through six research and innovation platforms integrating universities, industries and the public sector. The Øresund regional collaboration forms the largest concentration of higher research and educational programmes in Scandinavia and one of the most significant strongholds for knowledge in Europe. Every year, international surveys are published in the attempt to determine the ranking of universities around the world. The methodology in the rankings vary, but often include peer reviews, research articles published in important research magazines, number of nobelprizes won etc. The University of Copenhagen is usually ranked as the overall best university in Denmark and Scandinavia. Background Image of this blog courtesy of Laura Furniss at Flickr. The author owes a million thanks to her. William Butler Yeats: Education is not the filling of a pail, but the lighting of a fire.